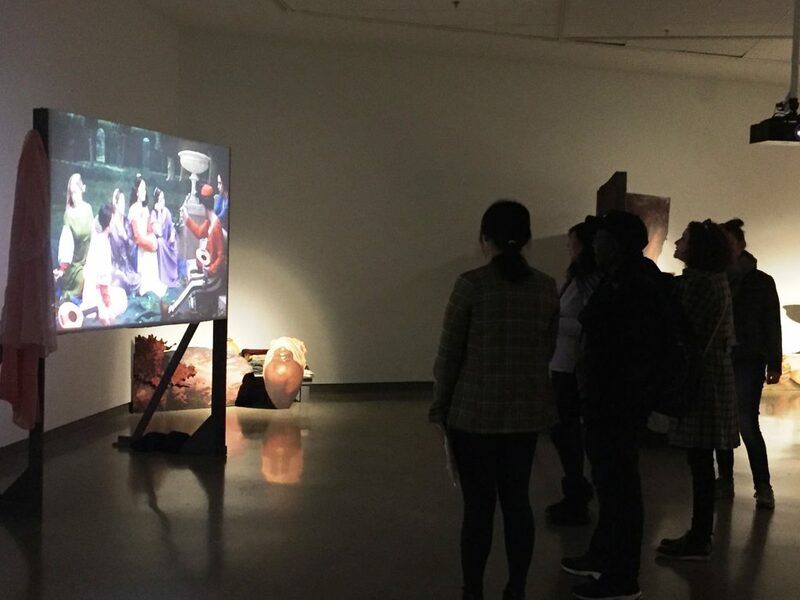 Drop in for a free informal guided tour in English and/or Mandarin of the exhibition Adad Hannah: The Decameron Retold. Adad Hannah’s, The Decameron Retold, is based on Giovanni Boccaccio’s 14th century work, The Decameron, a collection of novellas comprised of one hundred tales told by ten young women and men sequestered in a villa outside of Florence to escape the Black Plague. For this new project, Hannah has worked with community members in front of and behind the camera, and incorporating participants local stories over The Decameron’s structure. Learn more about the artist’s process and the stories behind the artworks at this informal tour and discussion. Above: Tour of Adad Hannah: The Decameron Retold, 2019.